My project today is a small scale. In fact, toy size. 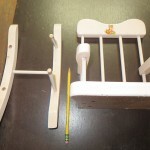 I am going to repair a toy rocking chair that needs some loving care before it can find a new home. Some damage on back. Light pink colour. The pencil shows you that I wasn’t kidding when I said it was a small project. The chair was used for a cabbage patch doll so that will give you an idea of its size. It was well used and loved but has been on a shelf in our workshop for a couple of years. 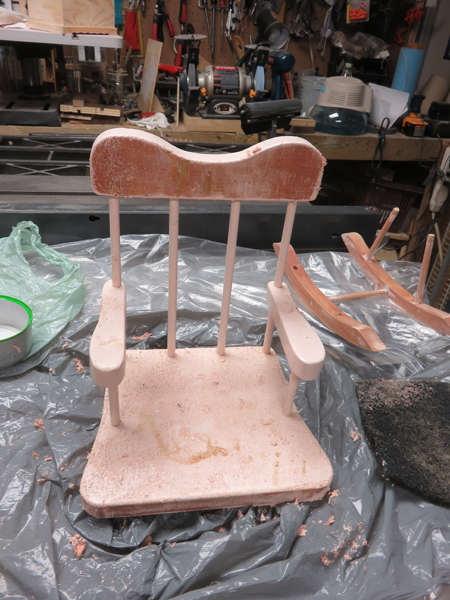 Time to clean it up, give it a shiny new finish, and pass it on to a child who will love it. 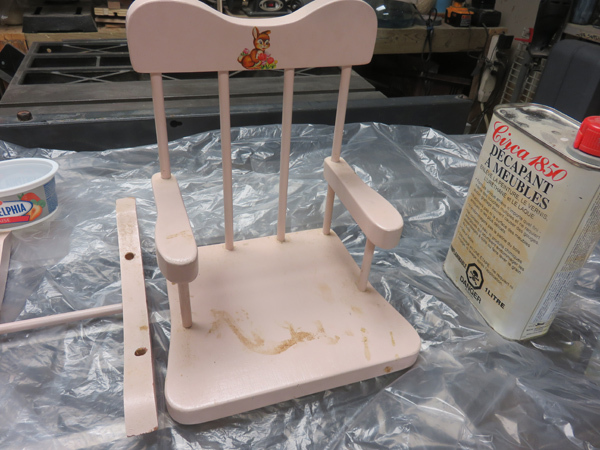 I haven’t decide yet if I will paint it or put a child-friendly finish on it. I’ll have to see how it looks when I finish stripping and sanding. 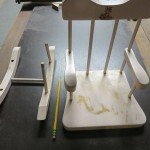 Before I reassemble and finish, I will make a template as I hope to make at least one more chair. It will be perfect for our Atlantic Woodworkers’ Association Christmas wooden toy drive. I plan to make a fabric cushion for the seat and maybe a doll blanket or something. For today, I am just planning to strip the paint to see how it looks and check if there are any cracks that need to be filled. I am using Cira 1850 for this. I prefer to use a citrus-based stripper but sometimes it is hard to find and we have some of this left from an earlier project. I don’t want to throw it out and this is a small piece that won’t take too long. I’ll still wear a mask though. 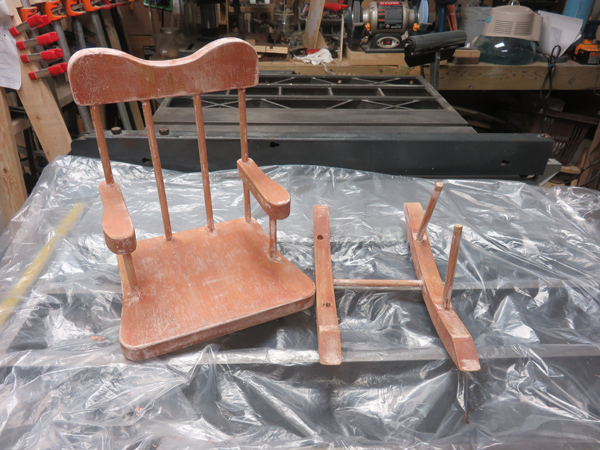 Here is the chair in progress and after its initial stripping. Phase one complete. Paint stripped. This part took just over an hour, including the prep and clean-up. It looks pretty good for a first go. That was all the time I had to work on it today. What experience have you had working on a small scale? What do you see as the benefits, challenges and frustrations? One thing that I like is that you can experiment with techniques or materials before committing to full large size project.